Husqvarna has done a really great job on repackaging the 652cc single-cylinder engine from its ex parent company BMW. It comes with a great looking body and improved suspension but most importantly an increase in horsepower. Officially its only an 8 horse increase over the BMW G650 GS but youll really notice the boost from the seat of your pants. These one inch stainless steel AltRider crash bars for the Husqvarna TR650 Terra are cut on a 5 axis laser for a perfect fit that equals strength. The design of the bars is engineered to provide full coverage for the radiator fairings and tank. In addition the bars help protect the engine case covers by keeping the bike elevated in a crash. 100% made in the USA the Husky bars utilize the strongest mounting points the bike has to offer. The upper mounts for the TR650 bars will insert directly into the frame while the lower mount utilizes a compression fit at the frame down tube. The flanges that form the lower mounts are very stout made of 3/16・stainless steel and are placed directly next to the frame down tube reducing leverage to prevent any bending in the flanges. Not only does this make for a very strong design but it keeps the bottom frame mounts open for skid plate installations. AltRider took the time to make the crash bars follow the design lines of the bike and highlight the Husqvarna badge. Unlike other crash bars our upper mounts are not flanges with a through bolt and aluminum spacer. AltRider chose not to use this design method because it puts the entire load onto the narrow shaft of the bolt. We designed an integrated tube mount that efficiently distributes the load at impact into the frame. This unique upper mounts provide good clearance for the riders knee and no exposed fasteners. 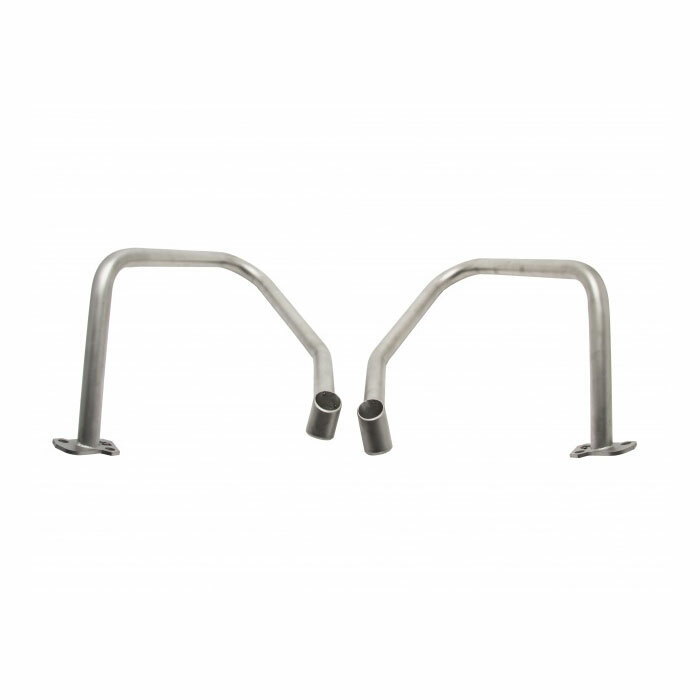 The crash bars are manufactured with a CNC mandrel bender yielding extreme precision and the most strength as the mandrel prevents the tube from crushing during bending. The available shot peen　silveror powdercoat　blackfinish combined with the stainless steel material make these bars extremely resistant to rust or weathering. AltRider bars are always designed with the bike and rider in mind and are ready to be mounted right out of the box.